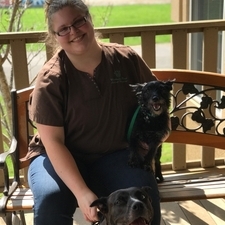 As a Kentucky native, Dr. Combs completed her Bachelor of Science in Biology from Union College and further continued her education at Auburn University College of Veterinary Medicine. 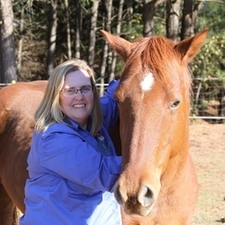 In 1990 she received her D.V.M and moved to North Alabama to begin her work as a practicing veterinarian. 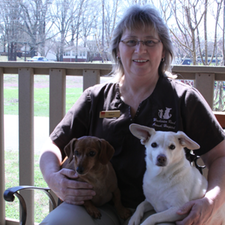 To fulfill the dream of having her own Veterinary hospital, she made Huntsville her home and opened Winchester Road Animal Hospital in 1996. Her special interests are in preventative care, senior wellness, behavior, nutrition and pain management. When she's not working at the hospital, you'll probably find her riding her horse "Doc" on a beautiful trail in the woods. Her frisky dog "Kitty" will be there too! 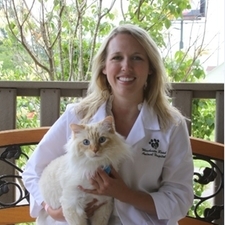 Dr. Simpson graduated from Auburn University with a Bachelor of Science in Animal Science in 2007, then continued to obtain her DVM at Auburn's College of Veterinary Medicine in 2011. She enjoys the many challenges that come with small animal medicine and surgery. She is also thrilled to be working with an AAHA accredited hospital! Dr. Simpson has several fur critter of her own, 4 cats names "Maggie", "Marty", "Molly", & "Lancelot", 2 horses "Hudson" & "Moe", as well as 2 bunnies. In her free time, you will typically see her horseback riding, or running! Helaina is our Practice Manager. 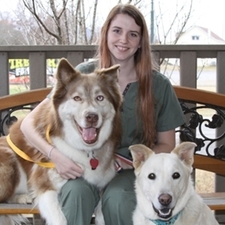 She is a graduate of Ohio University and worked her way through the ranks of Winchester Road Animal Hospital starting as a kennel assistant during her college breaks. She spends her spare time with her dogs "Ellie", "Phoebe" & "Grover", and her cats "Rufus" & "Murphy"! 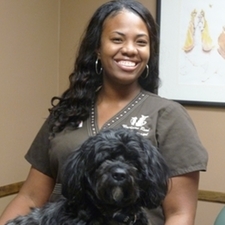 Tasha has been working at Winchester Road Animal Hospital for over 10 years and is vital to patient care. She earned her degree from Athens State University while continuing work at WRAH. She's always a smiling face for the clients, and pets can depend on her for a stolen treat. She's quick to help in any situation and makes everyone's experience smooth and inviting. Often times, you may see her dog "Peanut" hanging out in the reception area. You can also always depend on her for a resounding "Roll Tide! ", being the huge Alabama fan that she is! 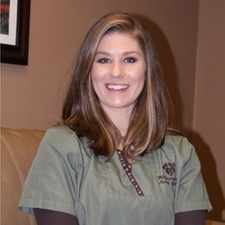 Sarah is our certified Companion Therapy Laser technician. She absolutely loves her patients and the reward she gets from such great results! Along with being our laser technician, you might also see her assisting Dr. Combs and Dr. Simpson in the exam rooms. In her spare time, she likes riding her horse "Dakota", and spoiling her dachshund, "Lizzie". 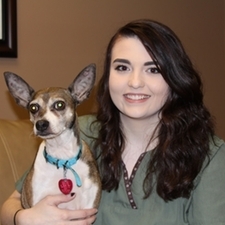 While working for Winchester Road Animal Hospital, Julia is in school studying to become a veterinary technician from Penn Foster. You can usually find her in the reception area helping clients or even in the kennels helping keep things clean. In her spare time, Julia enjoys playing video games, baking, or performing. She also enjoys spending time with her two dogs "Rogue" & "Jubilee". Candise is our afternoon client care specialist. You will see her as your babies are going home for the day! 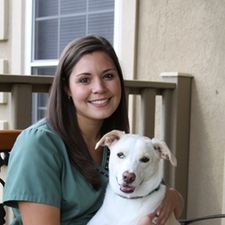 Before starting her position at Winchester Road Animal Hospital, she was a busy stay at home mom with her 3 kids! 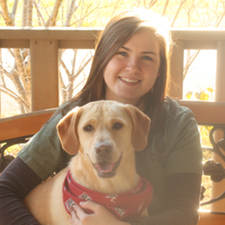 She also stays busy with her 2 dogs, Saban & Crimson, and 1 cat Duke! Jordan is the newest member of our WRAH family. She is our morning client care specialist. She always greets your babies at drop off & leaves a smile on the faces of all our clients! When Jordan is not in the office, she spends her spare time with her fur babies "Sadie" & "Wyatt", playing video games, or at the gym. Alison spends her mornings here at Winchester Road Animal Hospital in the kennel area tending to your babies. You can also find her helping Dr.Combs or Dr.Simpson in the exam rooms. She enjoys hiking and spending her summer days at the river or on her farm with her family. In her spare time, she loves to cook and spend time outside with her farm animals and her 2 fur babies "Maddox" & "Oakley". They are good at keeping her on her feet!